Blip Blip Bleep (BBB) is the work of Brooklyn based producer Sean Han, with the help of Alexa Danner and Brett Thompson. The project began in December 2006 with the release of the first BBB EP called Wireless. In 2007, Wireless earned BBB a feature on Billboard's Underground series, a #2 spot in Sprint's Buzzband Challenge, and rave reviews from several indie publications and college newspapers. Meanwhile, Sean (vocals/guitars/keyboard/laptop) and Brett (drums) brought the act onto the NYC rock-scene, with Sarah Lee (keyboards/vocals) joining the project in mid-2007. The trio's dynamic stage presence quickly attracted a loyal fanbase who followed them to top NYC venues including Mercury Lounge, The Annex, Crash Mansion and Luna Lounge. 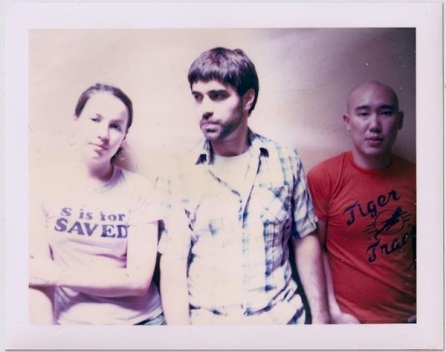 After a few-month hiatus, the second BBB EP - Alarm Clock, Snooze Bar, Get Up, was released in April of 2008, accompanied by a short college tour and a CD release party at Mercury Lounge. Strong reviews on the mini-concept album from Pop Matters, The Deli Mag and other parts of the blog-o-sphere helped BBB earn a Saturday night co-headlining spot at Merc, alongside Brassland's Baby Dayliner. Mixed by Nic Hard (The Bravery, Aberdeen City) and mastered by Nathan James (Blondie, Staind), the EP tells a day in the life story of an urban 20-something coming of age and struggling with work, love, and loneliness. As of July 2008, the group also finds itself in a bit of a transition period, with Sarah moving out of NYC and on to seek other opportunities on the West coast. Alexa Danner, former band mate of Brett's in NYC's short-lived "The Spies", has signed on and the 'new' BBB looks to continue growing in NYC and beyond, and releasing a full-length in early 2009.